Less than three weeks before it must place a new bond measure on the November ballot, the Spokane Public Schools board wants more answers to its concerns over parking, traffic and student safety at the proposed downtown site. “I would appreciate a little more feedback,” said board member Deana Brower, who spoke for the majority during a work session Wednesday night in downtown Spokane. In response, Associate Superintendent Mark Anderson promised to seek a preliminary traffic study. “We’ll be on it tomorrow,” said Anderson, who hopes to get a final decision by mid-July from the board and the city on a bond for the November election. The stadium represents a small part of a proposed $505 million school bond, but dominated discussion following a 45-minute presentation from officials representing the school district, the city of Spokane, Spokane Public Library and the Spokane Sports Commission. “This has been such a great partnership,” said Rick Romero, who heads special projects for the city. The city hopes to offer a separate $103 million bond for libraries and expansion of sports fields at Merkel Park. However, that expansion is contingent on replacing Albi with a downtown facility, a project that’s part of a comprehensive bond being considered by the school district. That bond would provide for three new middle schools and replacements for three others, improvements at Lewis and Clark High School, the Libby Center and other projects. Romero and Anderson cited widespread support for the bonds from community groups, including the Citizens Advisory Committee, the Greater Spokane Incorporated Board, Citizens for Spokane Schools and others. Included in the school bond is the stadium project, with two options: downsize Albi from 30,000 seats to 5,000 and expand the Merkel Fields, or build a new facility downtown. 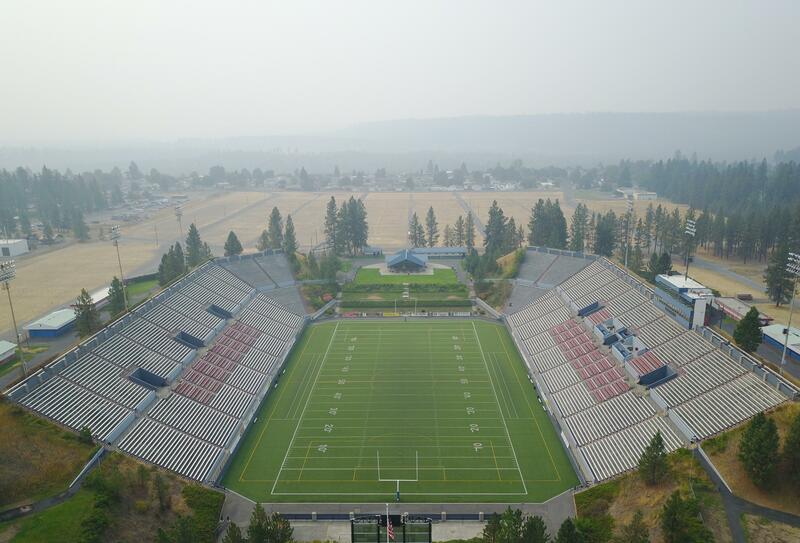 The new stadium would be located east of the Spokane Veterans Memorial Arena and directly north of Sportsplex, a sports facility concept proposed by the Spokane Sports Commission and Spokane Public Facilities District. The new stadium drew support from only one of the five board members: Michael Wiser, who said the idea is a “pretty cool thing for downtown” and would aid revitalization. “It’s a tough call for me,” said board member Brian Newberry, who thanked the presenters for “going for the grand slam” of a cooperative proposal of this scope. “However, this does give me some logistical concerns,” said Newberry, who also questioned whether the number of football games would justify the expense of a new stadium. Board Chairwoman Susan Chapin said she was “really excited” about the partnerships with the city, but strongly opposed the downtown stadium option. “Albi has been a great site for generations and the parking is fine out there,” said Chapin, who also worried about the safety of schoolchildren following evening events at the new stadium. “Also, I think there’s too many unknowns about parking,” Chapin said. She also questioned whether nearby streets could handle traffic during major events. The bond would include funds for improvements at three city library branches. At the Shadle branch, “our biggest and busiest facility,” said Spokane Public Library Executive Director Andrew Chanse, space would be doubled and include space for Spokane Virtual Learning. Plans also call for a new Hillyard Library in conjunction with the new Shaw Middle School; a new library on school district land adjacent to the Libby Center; and modernization of the Shadle, South Hill, Indian Trail and downtown libraries. The board also discussed the possibility of relocating the Community School – currently housed at the aging Bancroft facility on North Monroe Street – to vacant space in City Hall and the Mobius Science Center on the same block. Published: June 27, 2018, 9:11 p.m. Updated: June 27, 2018, 10:43 p.m.